Students and teachers from Conniston Middle School and Wellington Landings Middle enjoyed a conglomerate of marine science field experiences aboard R/V ANGARI. ANGARI Foundation hosted students and teachers from Conniston Middle School and Wellington Landings Middle for an educational day trip offshore West Palm Beach, FL. Participants enjoyed several aspects of marine science field experiences. The morning began with researchers led by Dr. Stephen Kajiura from FAU Shark Migration who demonstrated their fishing process and scientific methods for studying the annual black tip shark migration. Unfortunately, no black tip sharks were caught and tagged. The second half of the trip included students participating in a variety of field methods, including plankton tows, Sargassum sampling, and environmental measurements. A tour of the research vessel and boating and navigation lessons from the ANGARI crew were also provided. 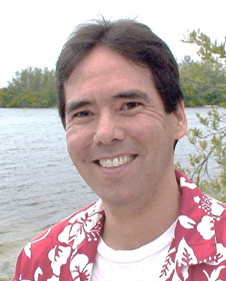 Dr. Stephen Kajiura is a Professor in the Department of Biological Sciences at Florida Atlantic University. His area of expertise is the sensory biology of sharks and rays with an emphasis on the electrosensory system. In addition to his sensory physiology research, Dr. Kajiura studies the massive seasonal aggregation of blacktip sharks in southeast Florida. He incorporates aerial surveys with tagging and acoustic telemetry to document the migration of these sharks along the US eastern seaboard. Dr. Kajiura has conducted research for various agencies including the National Science Foundation, the Department of Defense, and the National Marine Fisheries Service. He has published over 40 papers in peer-reviewed journals and has presented numerous talks at scientific conferences. He has supervised a dozen graduate students and post-doctoral researchers and has served on numerous thesis committees for students from around the world. Dr. Kajiura maintains a strong public outreach service, primarily through television documentary appearances, and has served as an elected member of the American Elasmobranch Society Board of Directors. Learn more about Dr. Kajiura here.